Home barry allen cisco eddie thawne flash future flash jay garrick kid flash new ronnie raymond savitar Who is Savitar? Throughout the season these are all the names that have come up while guessing who the God of Speed truly is: Dante, Julian, HR, Randolf Morgan, Earth 1 Hunter Zolomon, Eobard Thawne, Cisco, Wally, Eddie Thawne, Jay Garrick, Ronnie Raymond, Barry, or time remnant Barry. So many Guesses, but only 7 have traction for me. The love of Caitlin Snow. Lost during the premiere of Season 2 to the Singularity Barry and Eddie created at the end of Season 1. Could Ronnie blame Barry for his disappearance? Where has Ronnie been; a different Earth, the Speed Force, has he been tortured, or worse? Did his Firestorm Matrix malfunction warping his perception of the truth, and also allow him to have speed like powers? Ronnie is the newest in the list of possible identities of Savitar, and a lot of it has to do with the absolute trust in Cait-sorry- Killer Frost eyes when he reveals himself to her at the end of Tuesday's Episode. Honestly, who knows? Eddie has always been a wishful return for many fans! 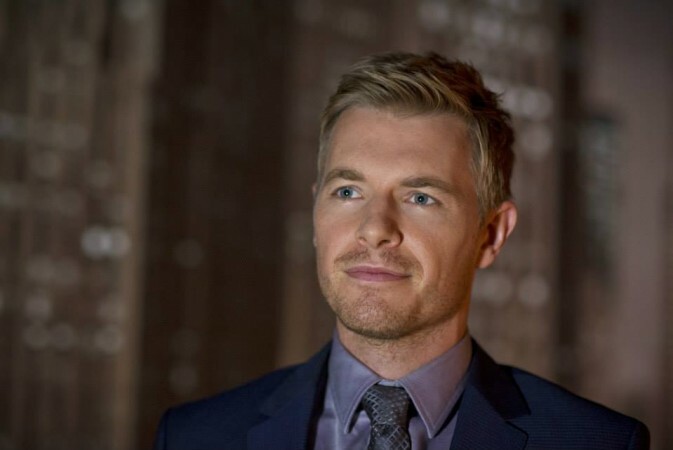 Most believe he's the TV version of Malcolm Thawne, Barry's twin brother separated at birth, who became Cobalt Blue. 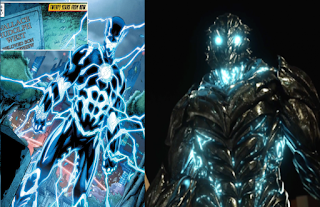 Well, that might be a storyline for the future of the TV series, but despite the similar colors I don't believe Eddie is Savitar. Again, one of the biggest reason he is a suspect in the 'Who is Savitar?' Case is the colors. 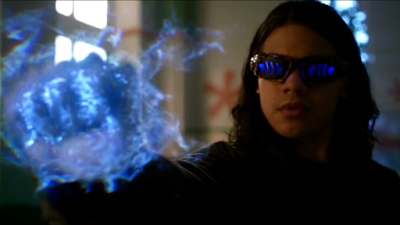 Both his Vibe Shades and Vibe energies are the luminescent colors off Savitar. The other main reason for this guess is Cisco's attitude at the beginning of the season and his mis-trust of Barry. At this point in time, all of that has been resolved. Cisco and Barry are buds once again, but could something in the future happen that breaks this bond? It's a possibility. The final reason Cisco is on this list is because of his powers as Vibe. Savitar seems to be a speedster of sorts, but what if he's hopping from place to place through obscured Vibes? Could Future Vibe learn to use his powers to travel in time as well as place? 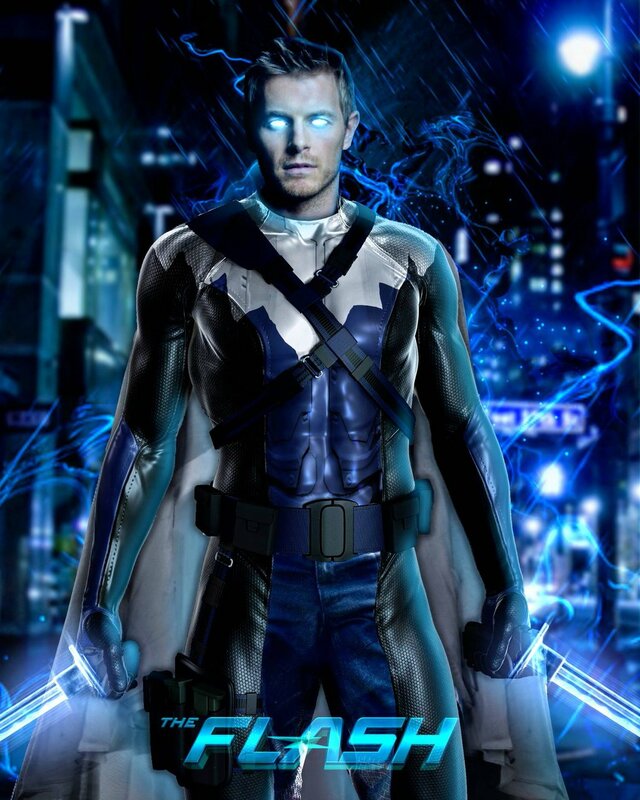 The TV version of our favorite DC characters may have powers their comic book versions do not. Let's start with the last point I made with Jay... Savitar says he created himself. Wally got his SpeedForce powers from the Philosopher's Stone that Dr. Alchemy was using to help bring Savitar to their Earth. 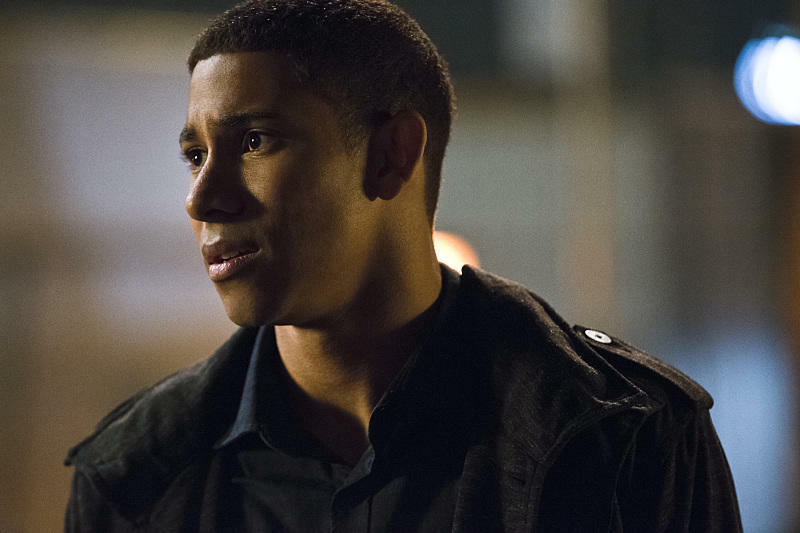 Wally became Kid Flash because of Savitar. 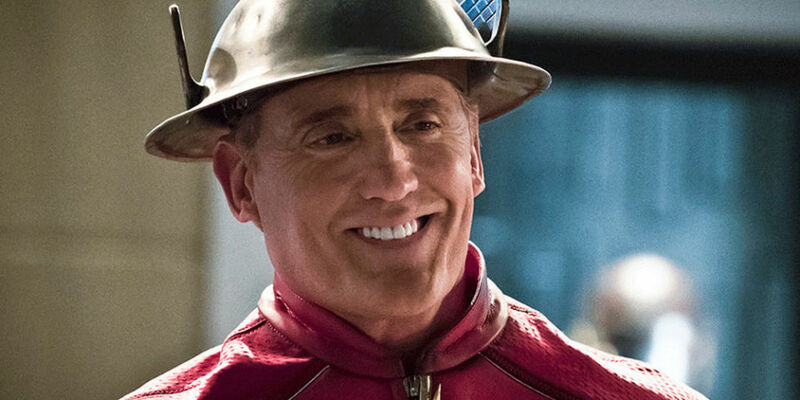 Savitar was released from the SpeedForce trap because Wally brought him the last piece of the Stone and took his spot in the trap. Lastly, would it not devastate you to find out YOU killed your sister, YOU attacked your own friends and family, YOU broke your own spine?! Learning that, wouldn't that leave you into a catatonic state of utter denial? Very Real Possibilities! 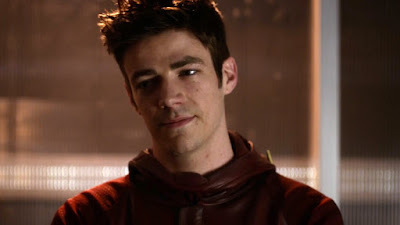 At the end of Season 2, Barry created a time remanent to help him save Joe and beat Zoom, to do this the time remanent would have to sacrifice himself to save everyone. Like earlier in Season 2, when Barry tried to get his powers back and seemingly died, the same effect (burning alive and turning to ash) is used when the time remanent 'died.' It's also the same effect used on Eobard at the end of season one and recently in the season finale of Legends of Tomorrow, and well... Let's just see how long Eobard stays dead this time. 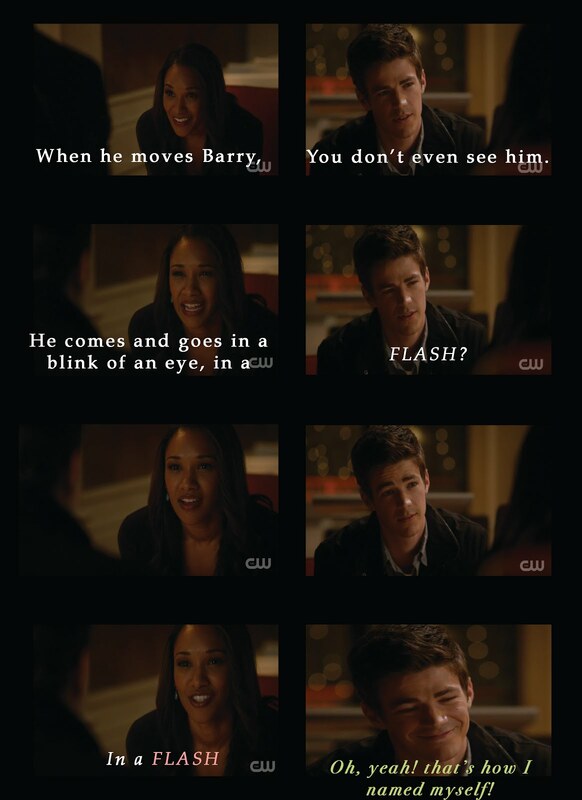 The time remanent may have gotten trapped in the speedforce like Barry did when he tried to get his powers back. Over time the time remanent may have gone crazy and becoming Savitar is his way of lashing out. A similar storyline played out in the New 52 Comics; the Story Arc, including Issue #35, had a future version of Barry Allen coming back to the past to try and close a time rip. The Future Flash was traveling through time and space trying to find where the rip is small enough to fix. Issue #35 is a climax when Future Flash figures out he must use his younger self to seal the rip, Kid Flash appears and tries to stop future Flash, dying in the process. 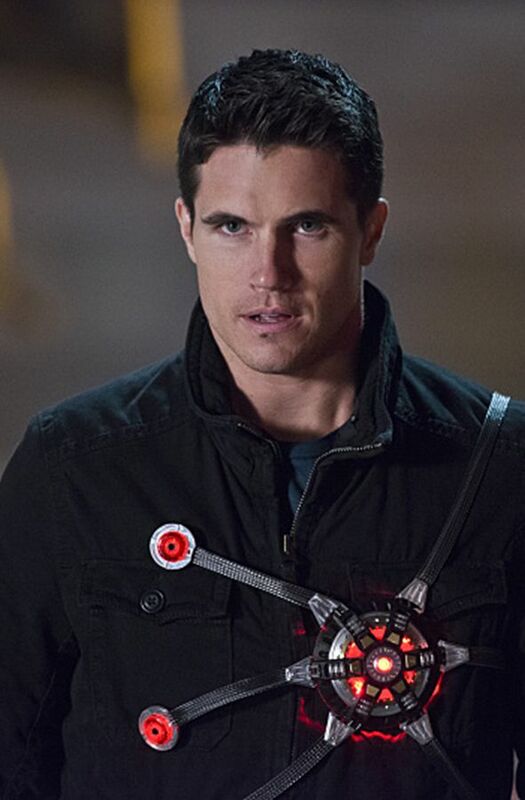 The time rip is fixed, present Barry is thrown into the SpeedForce, Future Wally is dead, and Future Barry de-ages and tries to live present Barry's life. -The repeated phase: "I am the future Flash." -Savitar is rumored as the first speedster. In the comics, the SpeedForce was created the day Barry Allen got his powers, making Barry the first Speedster. -The message from Future Barry in Legends, and revealed during the crossover. That message might have been the beginning of Savitar to create doubt and strife in the current Team Flash. -Savitar created himself. If Future Barry is Savitar and everything this season revolves around Flashpoint, which Barry created, it's possible that Present Barry's actions led to Future Barry becoming Savitar. 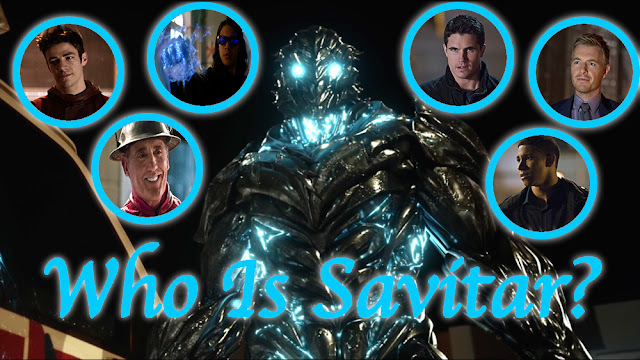 So... Who do you think is Savitar? Dark Days and Dark Nights - DCComics Summer Blockbuster Event!